Gaillimh le Gaeilge was delighted to welcome on board a new sponsor, MOLSCÉAL, for Gradam Sheosaimh Uí Ógartaigh 2019. Developed by TG4, MOLSCÉAL is the first ever app that provides short form video content for the Irish language speaking community all in one place. Gradam Sheosaimh Uí Ógartaigh will feature on the app over the coming months. 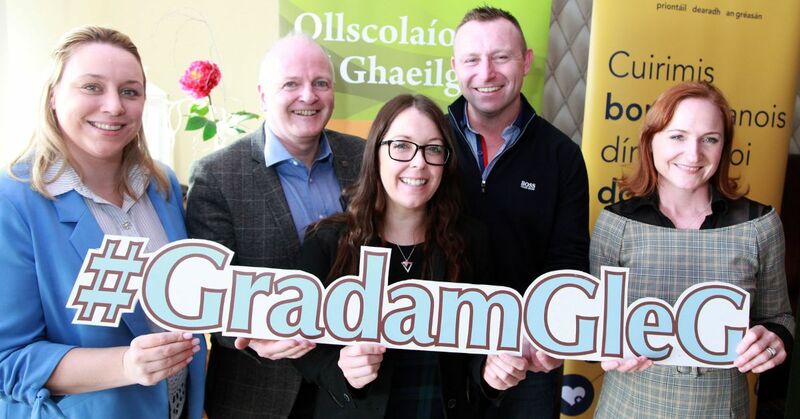 The Gradam, Galway’s bilingual business award, was officially launched by the Mayor of the City of Galway, Cllr. Níall McNelis and is now open for nominations to businesses and organisations based in Galway city until Friday the 22nd of February. The Mayor announced Údarás na Gaeltachta as sponsors of the miniature versions of the Gradam which will be presented to the category winners as well as the Galway Chamber who will provide sponsorship to the overall winner. 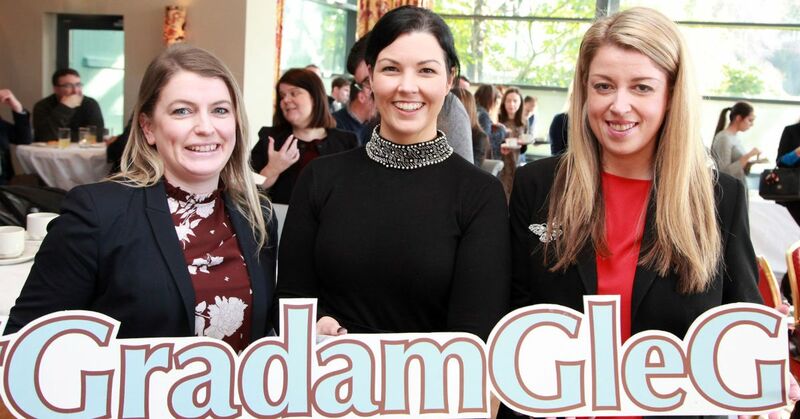 Gradam Sheosaimh Uí Ógartaigh, is now officially launched and marks 17 years of the hugely successful award which has attracted many well-known Galway businesses over the years. Businesses and organisations based in Galway city who are using ‘an Ghaeilge’ in their day to day business, can now enter online and free of charge at www.gleg.ie. You can nominate your own business or organisation and you can also nominate another business or organisation that use the Irish language in the city. Declan Varley, Group Editor of the Galway Advertiser also spoke and said that the Galway Advertiser is delighted to be associated with the awards. Gaillimh le Gaeilge is currently putting a schedule together and would love to meet with businesses and organisations who are interested in using the Irish language to create a bilingual business. The closing date for Gradam entries is Friday the 22nd of February 2019. They will examine various possibilities in terms of the use of Irish in your business or organisation and you have over 10 weeks to prepare for the adjudication which will take place in mid-April. Log onto www.gleg.ie to enter online or contact 091 568876. You can follow Gaillimh le Gaeilge on Facebook, Twitter and Instagram.